An entire house with decorative vent covers and return air filter grilles in our Louis XIV style in our Pewter Finish. The best return air filter grille made. 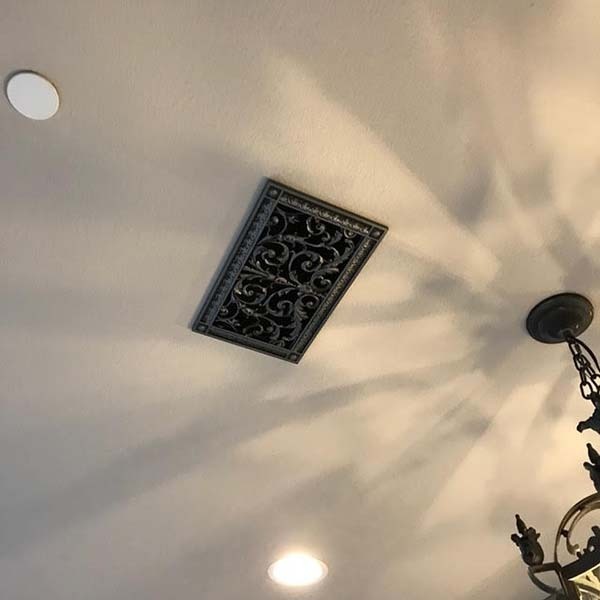 Return Air Filter Grille ceiling installation.